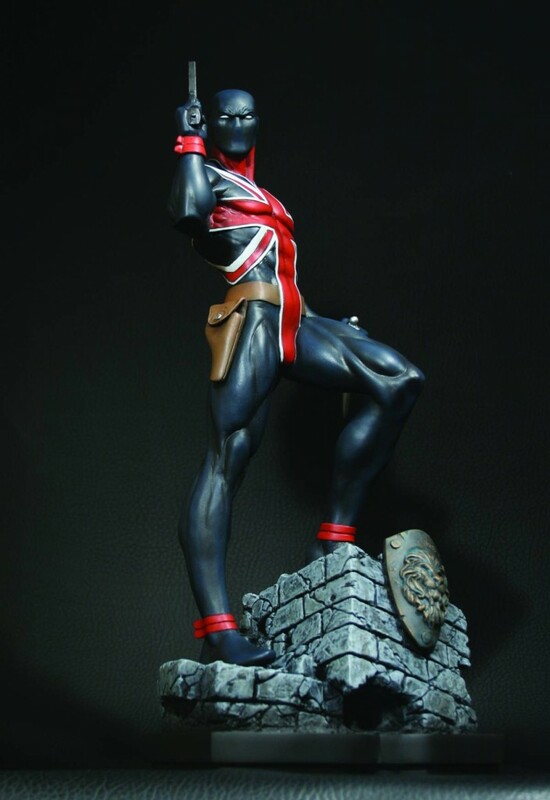 The Union Jack Statue from Bowen Designs is available. There are three men who have operated under the Union Jack identity. This statue’s version is Brian Falsworth, who first appeared in Invaders #18 as the Destroyer. He takes up the Union Jack mantle in Invaders #21. In the Marvel Universe, Union Jack fought alongside the Invaders during World War II — a team that included Captain America, Bucky, Sub-Mariner, the Human Torch, Toro, Spitfire and others. This statue is sculpted by the Kucharek brothers and stands 12 1/2″ tall. It is strictly limited and display ready!